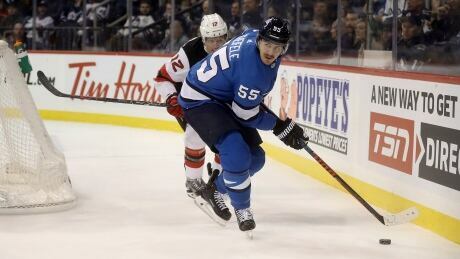 Mark Scheifele scored twice and added an assist to help the Winnipeg Jets to a 5-2 victory over the New Jersey Devils on Sunday. Jack Roslovic, Nikolaj Ehlers and Mathieu Perreault also had goals for the Jets (10-5-1). Ehlers picked up one assist.